The Trump administration's approach to North Korea's nuclear program has been pretty simple: North Korea must completely disarm in exchange for sanctions relief. But after a summit in Vietnam ended in shambles, North Korean disarmament looks as far away as ever — and some experts say it might be time to consider other options. Adam Mount is the director of the Defense Posture Project at the Federation of American Scientists. 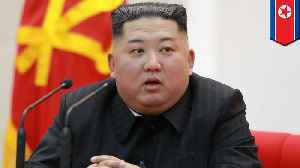 He headed up a study group that recently published a road map for how to deal with a nuclear-armed North Korea without pushing for immediate disarmament. 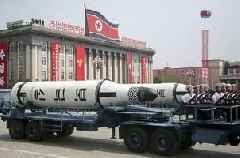 Mount told Newsy: "North Korea has expanded, diversified, increasingly concealed its nuclear arsenal. And when we continue just to ask for complete disarmament, it distracts us from addressing a bunch of those concerns." The report suggests the U.S. and its allies should negotiate a threshold agreement with North Korea, imposing conditions that will impede the country's weapons program but stop short of full disarmament. The U.S. would have to be prepared to offer something in return — including limited sanctions relief. That's something the Trump administration has been unwilling to do. SEE MORE: North Korea Says It May Suspend Nuclear Talks With U.S. During an address to the United Nations Security Council, Secretary of State Mike Pompeo said: "Enforcement of U.N.
Security Council sanctions must continue vigorously and without fail until we realize the fully final, verified denuclearization." But economic pressure alone hasn't moved North Korea toward disarming. 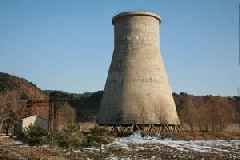 The country views its nuclear program as a vital shield against foreign aggression; it's unlikely to abandon it unless the regime feels much more secure against outside attacks. 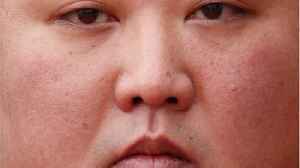 Mount said: "The North Koreans don't trust us just as much as we don't trust them. So it's difficult to credibly commit to the North Koreans to say, yes, we will provide you with economic incentives after this denuclearization process occurs. So it's more plausible, more realistic, more likely that you can reach a strong agreement if you're building this pattern of coordination, of arms control, of threat reduction over the course of the next decade and the next several years." Nuclear weapons or not, North Korea is still one of the world's worst actors on human rights and international law. Engaging the regime without focusing on disarmament might be a bitter pill to swallow for some human rights advocates, but Mount argues it's a necessary first step to make progress. Mount told Newsy: "We've got to remember that the goal is to improve the welfare and support the rights of the North Korean people themselves. And that means building leverage rather than sacrificing it. 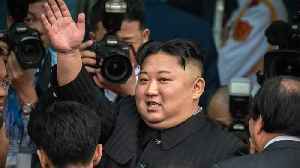 It's a healthy and literate and connected economically empowered populace that's going to help North Korea transform for the better help them behave more responsibly in the region." 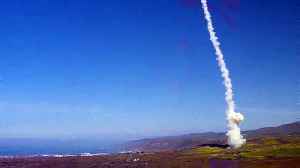 The Pentagon has tested its new interceptor missiles as a deterrent against 'very real threats' like North Korea's intercontinental ballistic missiles Report by Avagninag. 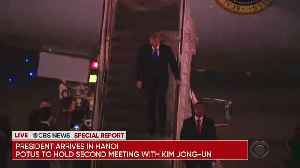 Like us on Facebook at..
President Donald Trump's summit with North Korean leader Kim Jong Un came to an abrupt end overnight without an agreement. This is a CBS News special report. 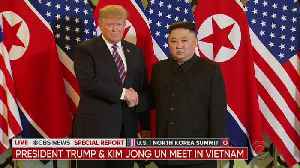 President Donald Trump meets with North Korean leader Kim Jong Un in Vietnam for their second summit. 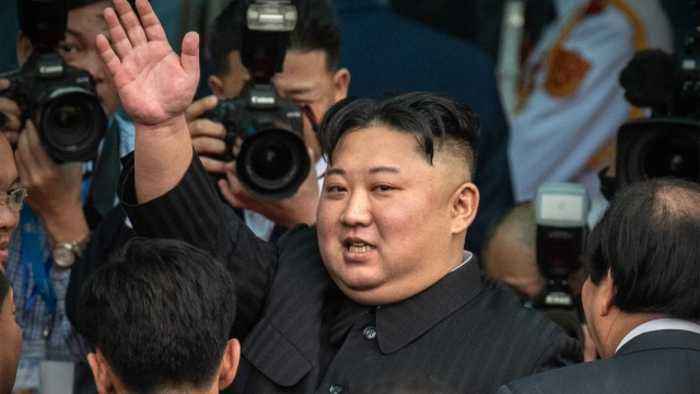 NORTH KOREA — Kim Jong Un has brutally purged 421 officials since coming to power in 2010, according to a report by the Seoul-based North Korean Strategy Center. 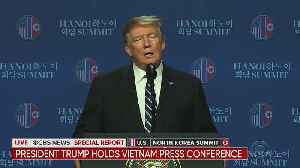 According to Radio Free Asia, the..
President Donald Trump arrives in Vietnam for his second nuclear summit with North Korean leader Kim Jong Un.